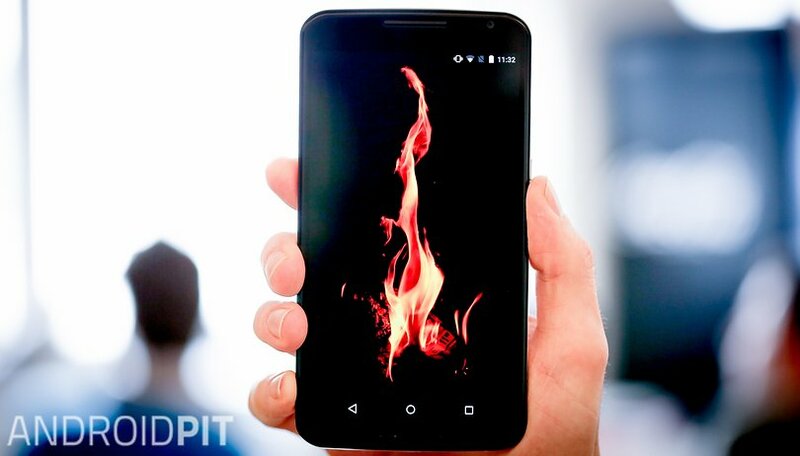 It's not that uncommon to hear about a phone exploding or bursting into flames. In one instance, Galaxy S4 caught fire and burned down an entire apartment, and in another, a girl's phone battery exploded while she was sleeping. So we thought we'd share some reasons why this could happen, along with some tips to prevent your smartphone battery from exploding. First let us make a one point clear: unless there is a serious flaw in the assembly or design of the battery, it's highly unlikely for an electronic device, be it a smartphone, tablet or clock radio, to explode. Even in the rare cases when it does happen, it is often not the fault of the battery alone. More often than not, the incident is caused by one of two factors: either the battery or the charger is not the original product. Lithium batteries can suffer from a problem called thermal runaway, whereby excess heat promotes more excess heat and so on. Because of this, they are equipped with a system that protects against overcharging and prevents hazardous reactions of the chemicals contained within. It is often said that the inexpensive batteries produced by unknown companies are just as reliable as manufacturer originals. This is only partly true. Because cell phone batteries are becoming thinner, there's less room available to keep the positive and negative plates in the battery apart, and an increasingly thin separator is being used. If anything gets in between these two plates, it can cause problems, especially if things haven't been designed up to the necessary standards, and you then place the battery under the stress of overcharging. If a battery manufacturer follows all the guidelines, they can certainly produce a perfectly safe battery, but some have also been known to save money by not inserting the fuse that disconnects the circuit in the case of the battery overheating. The effects of this missing fuse can be very dangerous, especially if you have a habit of charging your smartphone all through the night... on the bedside table... 30 cm from your head. Only use the manufacturer's original battery or those from well-known replacement brands. It may be tempting to buy cheap batteries, but consider how much you pay for your phone and how much you like your apartment in one piece. You wouldn't put threadbare tires on a Ferrari. Don't leave your device in hot areas, especially if it's charging. That only makes overheating problems worse. Ambient temperatures affect batteries a lot. If your phone is charging or you are using functions that cause it to heat up a lot, make sure you are using it in a ventilated place (which means taking it out of its case, if you have one). This is especially important if it is charging overnight. And surprisingly, charging your battery once it hits 50 percent is actually a good thing. Li-ion batteries don't suffer from memory issues like some batteries, but they can be damaged by low voltage. So, keep these tips in mind to keep your battery behaving the way you want it to and don't freak out about your device blowing up in the middle of the night. If that really bothers you, don't charge your device overnight – simply plug it in when you get up instead. Have you ever had your smartphone battery explode? Let us know in the comments. my samsung galaxy j5 battery is swollen up, what to do? I'm getting a new phone today and it's way better however this must be said. I had a tracphone and it was LG brand idk lol. Anyways. So I probably should've looked up if I could've hit my phone with a hammer but I didn't and I just went at it. I hit the battery pretty good too but i'm scared. This all happened in the garage and I beat up the battery and now it's hissing and idk, like really really hot. And i'm low key kinda worried beause it sounds like it's going to explode. SAMSUNG GALAXY S4 ...... has been a good phone ... till this morning. Shortly after putting it on charge and climbing into bed I heard a bang and a sizzling sound with the strong smell of electrical smoke. Out of guarantee so no hope of getting a replacement from T-Mobile. We'll see what Samsung have to say. My S6 exploded and caught on fire this morning. The flames were 8 inches high and I was worried it would burn the house down. It was beside my bed charging, so obviously overheated, but this was extreme. I was asleep and thankfully facing the other way. The ash from the explosion went to the other side of the bed, and the bedside table is destroyed. Not good. My S6 charger cooked my phone last night! Just glad it didn't burn down my house! Samsung phones are pretty decent when it comes to cheap and cheerful copies of Apple technology. But have such poor customer service when issues arise And they do. My current issue is that the battery on my quite recently bought smartphone has begum to swell when I charged it. Have had to put it in the garden as it looks like its about to explode. Rang Samsung and as usual was told to as good as "f**k off". That's why for the last 18 months I have been buying other brand products. Maybe pay a little more but get good support. Samsung think we should be grateful for buying their c**p.
My samsung s6 nearly caught fire this morning whilst charging!!! There was lots of fizzing, popping and a lot of smoke. Phone is completely ruined along with my bedside cabinet. Waiting for samsung to pick the phone up as its still in warranty, it was only 7 months old. Phone was working fine, battery seemed fine and was holding charge like normal. Can't believe it happened! Just had a Samsung battery in a Samsung Galaxy Nexus swell up and completely pop the back off my phone while making hissing noises. The phone wasn't plugged in. Not sure what went wrong. The battery is in the freezer now. Hoping it doesn't explode!!! Samsung G4 Active 3000 mAh third party battery just burnt a hole in my carpet! OMG. I hope you're ok Jen. What phone was it & was it a genuine battery? Sir, my battery charges up fastly and discharge fastly. So i play games while charging my phone. I play clash of clans which heats my phone up to 45°c. What should i have to do. Does my battery gonna explode? Plz guide me sir. Wow, rehashing old stories AGAIN!